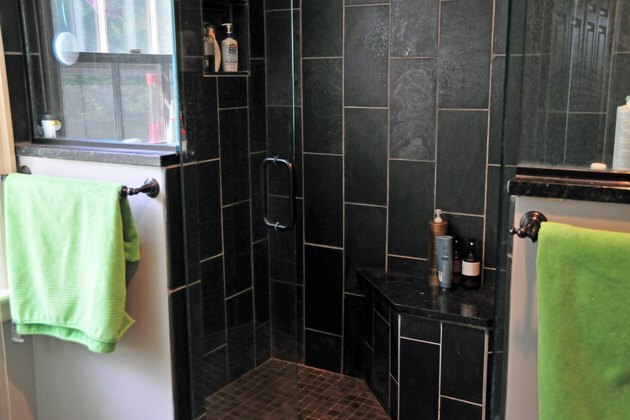 After installing beautiful stone tile in your shower, protect your investment with proper cleaning tactics.Certain cleaning products cause a chemical reaction when applied to natural stone, altering the color of the tile and potentially undermining its durability. Ensure porous stone, such as limestone and granite, is properly sealed after installation to protect the stone from oils and excess staining. Wipe down the shower after every use with a microfiber rag to remove excess moisture. This prevents the development of mildew and reduces soap scum build-up. Clean soap scum and dirt with a diluted spray cleaner designed for use on natural stone once a week. Spray the tile evenly with the product and then wipe it down with a microfiber cloth. 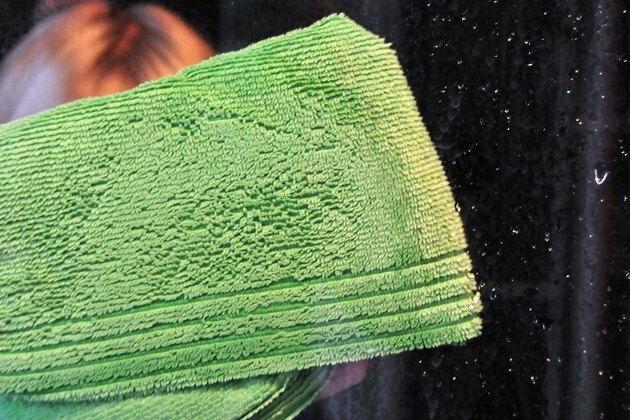 Rinse the shower thoroughly and remove excess water with a clean microfiber cloth. 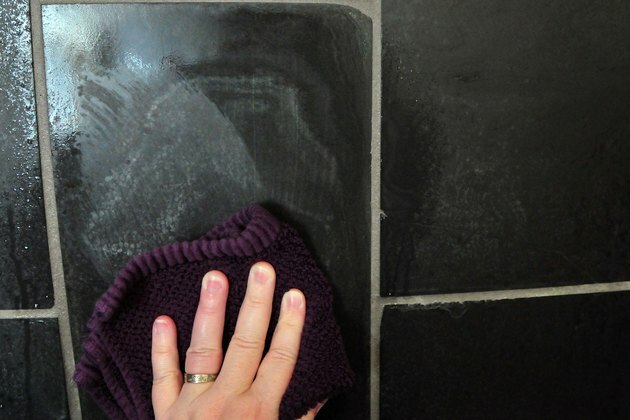 Kill mildew with a store-bought cleaning formula specifically meant for stone tile. Products intended for ceramic tile may be too harsh for natural stone, even if the stone is sealed. Allow the product to sit according to manufacturer directions and then rinse the tile with clean water before drying the stone with a microfiber cloth. Keep any acidic cleaners, such as white vinegar, toilet bowl cleaner and glass cleaner, away from the stone to prevent etching. 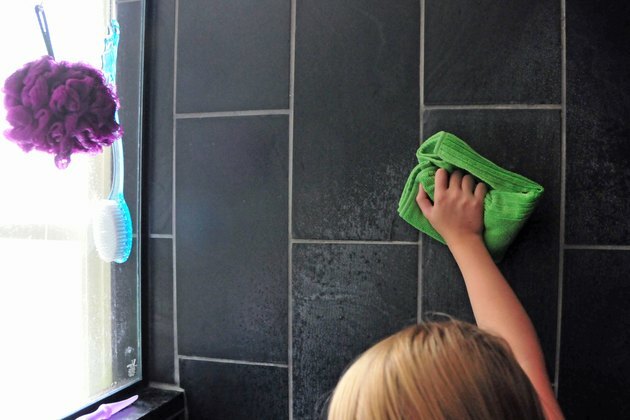 If you have a glass door or mirror in the shower, spray the rag with window cleaner instead of spraying the glass directly to protect tile from over-spray. 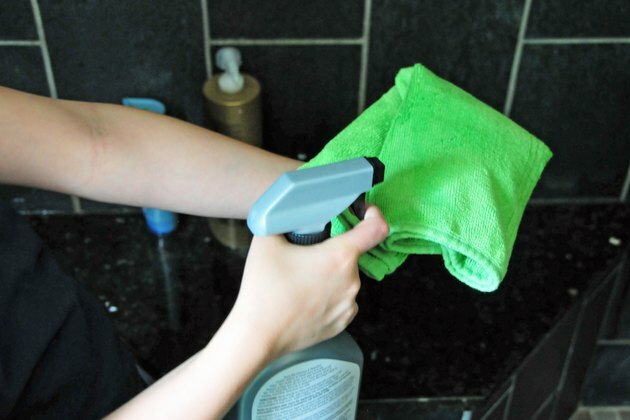 As an alternative, rubbing alcohol acts as a stone-tile-friendly glass cleaner.